PARTNER NEWS: Customers of Eurobank Poland can now make host card emulation (HCE) based mobile payments as a result of a collaboration between First Data Poland and tokenization and mobile payment specialist Bell ID which offers cloud-based mobile payments as a service to Polish banks. “Through this collaboration, Eurobank Poland has integrated Bell ID’s Secure Element (SE) in the Cloud software and First Data Poland’s data preparation, personalisation and processing services into its mobile wallet application,” Bell ID says. Rotterdam, The Netherlands – May 25, 2016 – Bell ID – the mobile payments specialist recently acquired by Rambus – has announced a new collaboration with First Data Poland to offer cloud-based mobile payments as a service to Polish banks. Through this collaboration, Eurobank Poland has integrated Bell ID’s Secure Element (SE) in the Cloud software and First Data Poland’s data preparation, personalization and processing services into its mobile wallet application. As mobile payments are expected to see significant growth worldwide, Eurobank Poland’s implementation of Bell ID and First Data’s technologies is leading the way for easy, secure mobile payments to its more than one million customers through host card emulation (HCE) technology. “Our alliance with First Data makes life easy for banks,” comments David Orme, CEO of Bell ID. “The two platforms are fully integrated, enabling issuers to launch cloud-based mobile payments quickly and cost effectively. Mobile payments are at the heart of many banks’ strategies and it’s great to see the full-scale roll out of Eurobank’s mobile wallet, especially as contactless is booming in Poland. The partnership combines Bell ID’s ability to securely transact payments in the cloud with First Data’s dynamic processing capabilities to support the next wave of mobile payment adoption. Bell ID’s cloud-based mobile payments software platform allows consumers to make contactless payments with Android mobile devices using near field communication (NFC). The First Data™ Mobile Platform offers customers data preparation and transaction processing, which is integrated seamlessly with the HCE solution provided by Bell ID. Bell ID Secure Element in the Cloud is fully compliant with the latest mobile payment security standards and supports advanced risk management, giving banks and customer’s confidence that their money and sensitive data is safe. 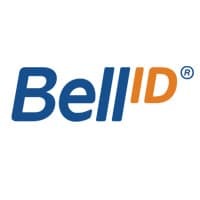 Bell ID’s full suite of mobile solutions supports cloud based solutions using HCE, EMVCo tokenization, trusted services management (TSM) for SIM-based projects and for OEM Pay solutions that use embedded secure element solutions.